After spending considerable time delving into the defensive approach of Gary Patterson at TCU, it would only be right that we spent a little bit of time on the other side of the ball. Since the Rose Bowl, offensive coordinator Justin Fuente has been a hot property, with unfounded rumors of him being approached by LSU for the same position. In this post, we will take a look at a few key concepts TCU carried with them every week and explore how versatile they can be. With the help of these simple adaptations, since Fuente took over in 2009 TCU has ranked 4th and 5th in scoring in the nation (2010 and 2009, respectively). Fuente, a former RB coach, was looking for a way that accentuated their run-heavy approach, with an emphasis on simplicity and efficiency. Without having a dominant receiver at the time, the challenge was trying to find the simplest way to get the ball into a variety of player’s hands without spending an inordinate amount of time diverting from their core offense. Usually run out of 5-wide, this 5-step concept features enough answers to afford the quarterback clear reads for a smart throw. While an adaptation of the standard Post-Dig run by everyone, Fuente uses this as an effective way to manufacture space to the field. By attacking/occupying inside underneath defenders with the double-pivots (pivot draws the inside linebackers outside, to open the dig), the combination of a deep dig-post creates a middle-of-the-field conflict for the safety. This is a great play when you want to avoid the corners by creating an inside Hi-Lo going down the field (whip/dig/post) and feature your running backs in space. TCU is so confident in this concept that they don’t feel they don’t need a specific defensive look to run it, so when they run freeze / OC check tempo, they never have to check out of it. The base concept features the boundary #1 receiver running a 14 yard dig with the #2 receiver aggressively attacking the alley defender (WLB here). 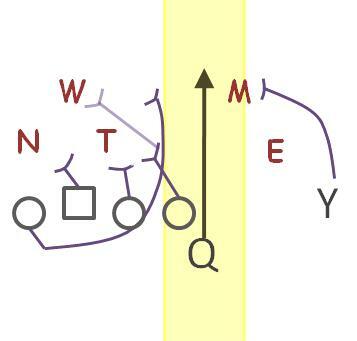 Fuente’s coaching point for the whip/pivot player is to actually try to grab this overhang defender, as this exaggerates the separation for the routes the quarterback will be keying (“push in – whip out”). If this receiver gets “turned loose” by the defense (if defender drops), the receiver should just stop. As they say, “ if you’re open, stay open”. The offense is looking to attack the WLB on the 2-man side whip and the MLB on the 3-man side whip. This combination will stretch these two inside defenders outside, chasing the receivers after they stick and break for the flat. By moving these two inside defenders, the dig opens behind them in the (middle) hole. To the field, the inside receiver will run the same whip route being run by the boundary #2 to hold the safety or linebacker that could rob the dig. The #1 receiver will just run a ‘take-two’ route (fly) to coverage away from the dig and threaten the deep safety. Its crucial that this receiver takes an outside release or will risk defeating the defensive stretch in the middle of the field. The field #2 receiver runs a modified post, actually trying to get all the way across the other side of the field. This ensures that if the linebacker takes the whip and the safety takes the dig, you still have an answer. Pre snap, the quarterback will find space to anticipate where the open grass will be (coverage shell / leverage alignment). At the snap, he will look to the field first and then to the boundary. The decision logic will look to qualify the vertical by #1. 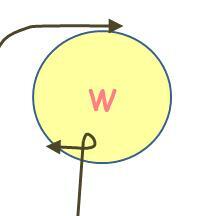 If he cannot make this throw, he will then go immediately direct his focus to throw the away-side whip outside. As a change up to the ‘double pivot’ (and one that TCU uses a majority of the time now), and to feature a better receiver on the dig; the Y and the outside receiver can switch routes. Nothing will change for the QB, as the Hi-Lo occurs on the same 3 man side inside the hashes. The first explosive play in the Rose Bowl this year (video) from TCU was Double Pivot Y and is a perfect example of what the running back on a linebacker matchup looks like. This is TCU’s way to matchup with teams that are just better than they are by using rubs and leverage in the quick game. 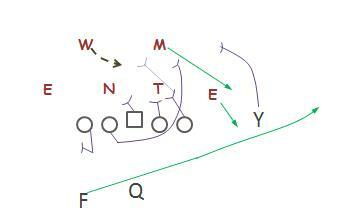 This cheap 3-step concept premised entirely on featuring a backside split receiver to the field. The backside receiver can be featured in whatever route he runs well (hitch, fade, speed out, etc), but commonly will run the slant because of its simplicity. Fuente will run this out of 3x1 or 3x2, with the rationale being coverage will either be rolled to the 3 receiver side (away from the featured receiver) or be deficient in numbers against trips. As most defenses will respect the 3 receivers, with a single receiver split to the field, the space created provides a clear path to the ball/throw. At presnap, the quarterback will qualify the receiver split to the field (is this throw viable? 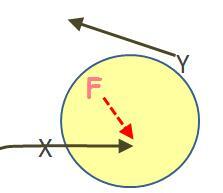 Is there an overhang defender in the path of this throw). If there is no overhang defender and the corner has a sizeable cushion on the receiver, this is the throw the quarterback will make. If there is no overhang defender and no safety over the top and the corner is tight, the route will be converted to sluggo. If it is a press corner with a safety over the top (Cover 2), then the quarterback will work to the trips side as the defensive numbers cannot support covering 3 receivers into the boundary. The 3x2 version of this includes an inside receiver to help divert the alley defender (having the #2 receiver immediately break inside across the face of the defender) away from the slant. While not a successful play in the video provided, as you can see, its just a simple read off the cushion of the defender over #1 to the field. With as much distance established with the split receiver, there won’t be anything to challenge the short-inside throw (slant). The “cheetos” play is very similar to how many spread teams are using the quarterback as a between-the-tackles runner (Dash), when the passer isn’t the most gifted ball carrier. In 2009, Fuente called this play 40 times for a total of 400 yards. This play developed by mistaken (much like zone-read) and actually works better when your offensive line is struggling with blocking stretch. This is simply a 3x1 (power) zone read, “run backwards”. The back will run his stretch course (aiming at the hip of the tight end), but the offensive line will block power. 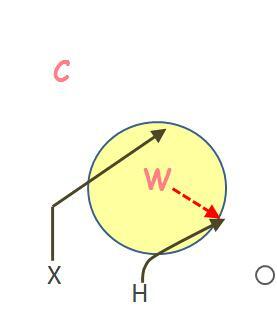 This action provides a dual-threat, optioning off the playside defensive end. 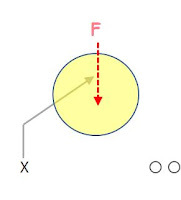 The severe angle of stretch angle (perimeter threat), the playside linebacker will usually fast flow with the defensive end, creating the wide path for the quarterback to run inside. 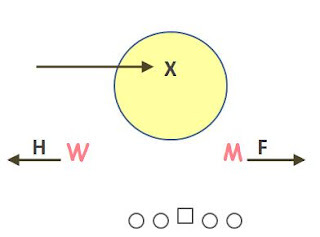 Where the defense comes in conflict is not just the defense end (C gap defender), but also the safety. Because the horizontal stretch becomes so great (one true inside threat plus a wide perimeter threat), the alley defender can be put into a bind as to the proper path to take on this action. The beauty of this play is that there really are no additional concepts to be taught to the players (you’re just combining power and stretch) and it can be applied to Wildcat looks simply by changing the player taking the snap. The offensive line will simply down block into their inside gap-track, with the backside guard pulling for the playside linebacker (he’ll end up picking up the first man that shows on give). Really appreciate the breakdown of the TCU offense. This is something I have been for. Pardon me coach! This is something I have been looking for. Thanks again!